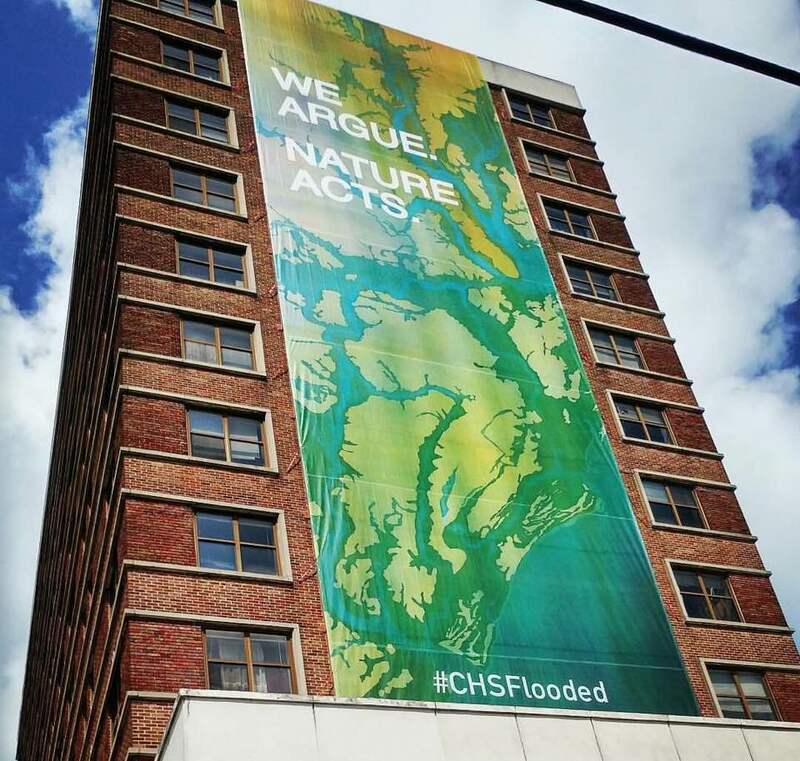 The 100-ft banner featuring “Charleston Airborne Flooded” was installed last week on Joseph Floyd Manor depicting the city of Charleston witha 4.5-ft sea level rise. 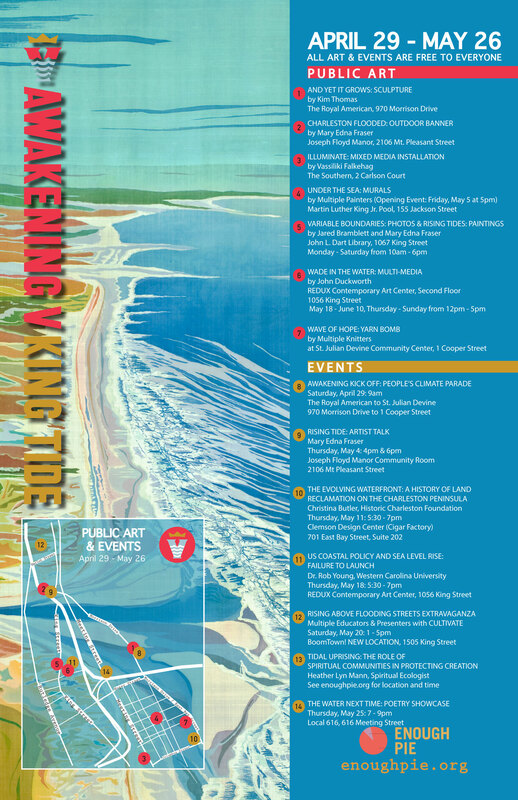 The large scale art promotes the event series “Awakening V: King Tide” with Enough Pie. 7 art installations and 7 events are part of the program through May.